While Pokemon Go trainers are waiting for the updates will be launched in the coming weeks, Pokemon Go released a "Lure module celebration event" with the sponsorship of McDonald. 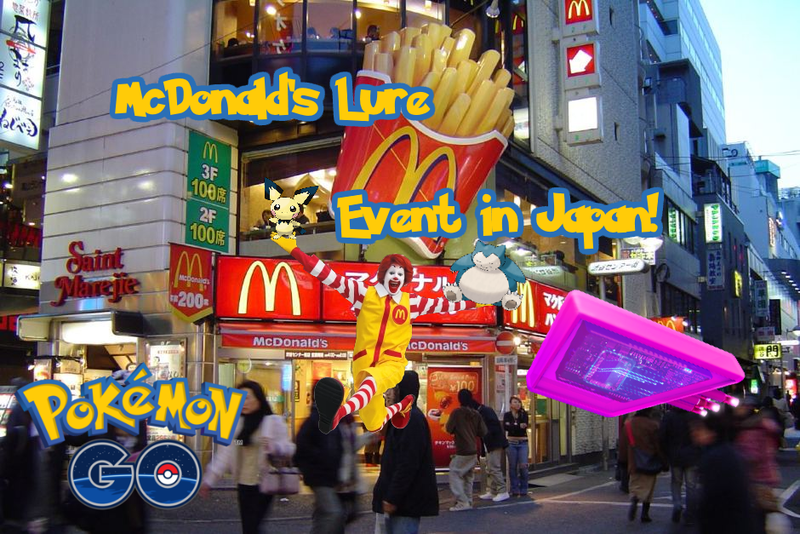 In celebration of Japans Golden Week , Niantic will be luring Japanese Trainers to McDonald's Golden arches for a Pokemon GO McDonald's Lure Event! There will be about 2,500 PokeStops at Japan McDonald’s locations taking part in the celebration. Players can easily sit around and eat french fries while catching tiny monsters in the United States. After the field test, Pokemon GO went live in Japan with APK [0.31.0] during July 16. With this launch the partnership with McDonald's was announced publicly and more than 2,900 McDonald's stores were turned into PokeStops while over 400 were turned into Gyms. The event concludes on May 7th at 24:00.